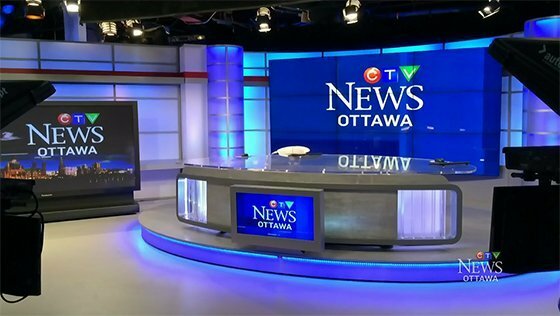 One of the many broadcast set designs we’ve completed in 2014, and not yet documented on our website, is 3 studios (in as many cities) for CTV in Canada. We did all the design, fabrication, and install of these sets earlier in the year. Our clients are happy, and we’re happy, so there’s just happy all over the place. These sets were created for CTV in Regina (which we can now say without giggling), Saskatoon, and Ottowa. However, we provide set design, fabrication and install services all over the world. Enjoy the images, and let us know if you need some broadcast set design work done in your studio.